I hope everyone had a wonderful Mother’s Day! My family had a little cookout between church services and just relaxed all afternoon. I’m so happy that I spent the day with my mom. I have been so blessed to have her as such a Godly influence in my life and I love her so much! I tried to put a lot of thought into my mom’s gifts. 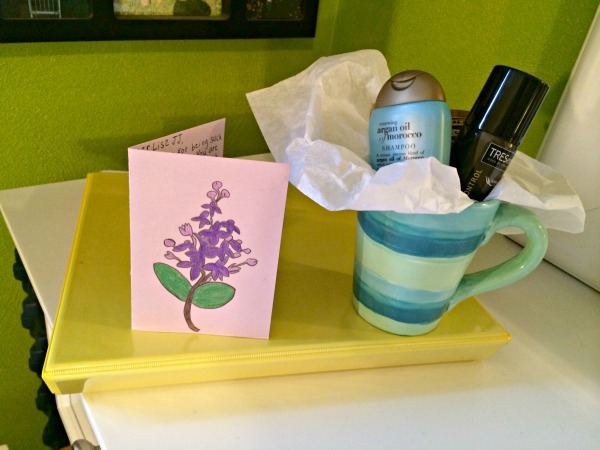 I made her a card with her favorite flowers drawn on it (lilacs), put together a cookbook of all of our favorite recipes to cook together, and painted her a ceramic mug and filled it with some goodies. Jimmy also painted a dish for his mom for Mother’s Day! We went to a local ceramic shop a few weeks ago and spent the better part of an afternoon together painting our mom’s gifts. Now for a funny mom story: My mom and I were in a clothing store together yesterday and while we were checking out, the cashier said she saw us looking at clothes (with our backs turned towards her) and thought we were two teenage girls. Too bad neither of us are teenagers ;). Whoaaa those ceramics are amazing! I painted a bowl for my mom once and it was nothing near as nice as those! I am mighty impressed! Also, you are such a great gift giver! Your mom is lucky to have such wonderful daughters! 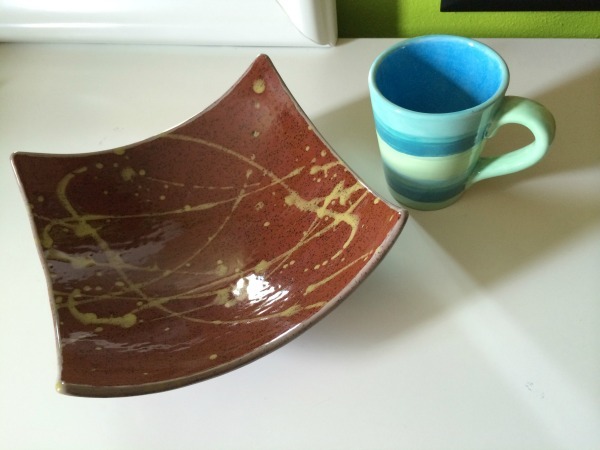 Sounds like you had a great mother’s day and I love the mug and the dish :). I like that you did a personalized gift for your mom too :). Thank you!! 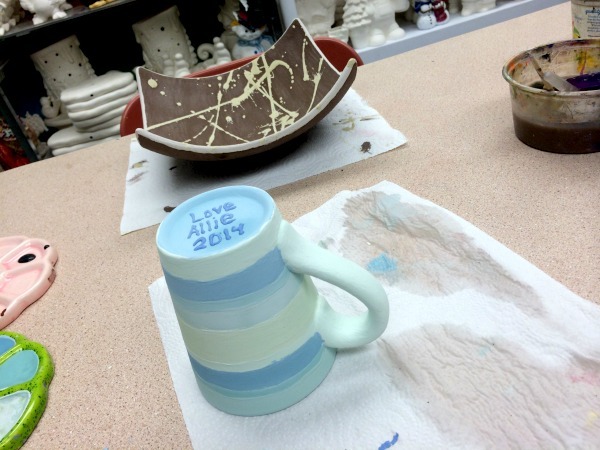 It was so much fun to paint ceramics! Jimmy and I want to go back again soon and paint something for our future home :). I know I love personalized, handmade gifts, so I figured/hoped my mom would too! Agreed! I bet your mug looks amazing! I love that mug!! 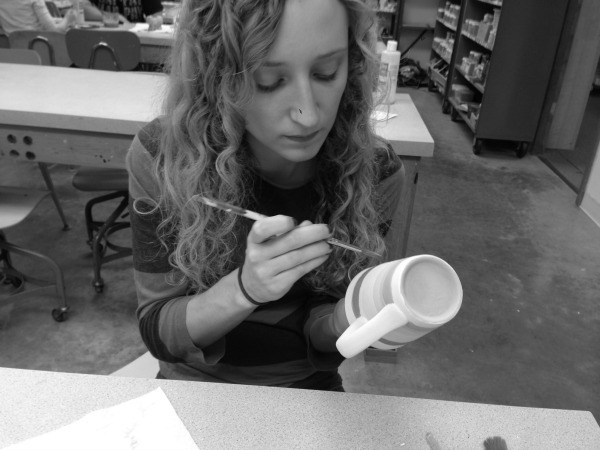 Painting ceramics is so much fun. What a great gift idea. Glad you had a fantastic mothers day! 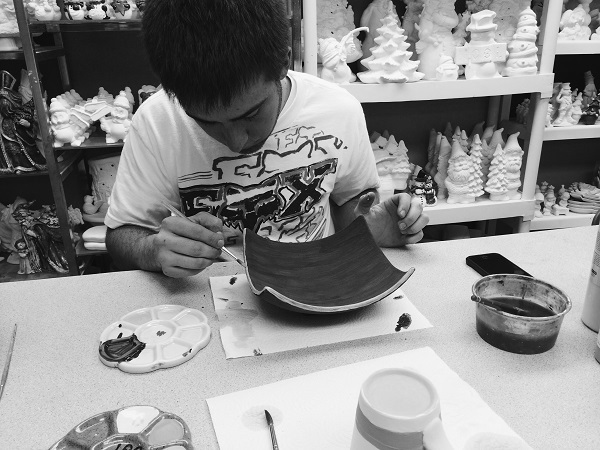 You are a rockstar ceramic painter!! That looks great. What a wonderful Mother’s Day! You, Hannah, and your mom all look alike! Haha! Thanks, Amy! I hope your Mother’s Day was awesome, too!! You are so crafty! Jimmy’s bowl came out awesome too! 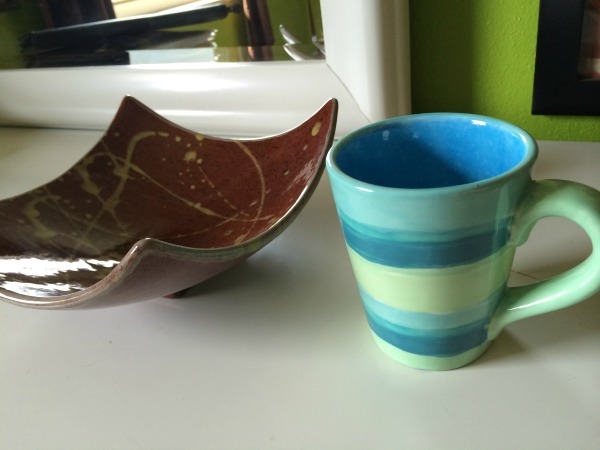 Oh, wow, I love how your pottery pieces came out!! They’re really lovely! I can’t paint worth beans, but I sure can appreciate the talent of others. Ha, ha. 🙂 I’m SO glad you were able to spend Mother’s Day with your mom and that it was a special day. Thank you, Nicole!! I’m so happy I was able to be with my mom, too! I never want to take her for granted–she’s SUCH a blessing in my life! I hope your Mother’s Day was wonderful, ya lovely mom-to-be!! Your pottery pieces turned out GREAT! Me too! I wish we could go paint ceramics together!! I bet my sister would love hanging out with you. You two remind me of each other a lot and she’s turning 16 soon, so I think she’s around your age. I totally wish she had a blog! And thank you for the compliment on my mom and I! We are super, super close! I like to think we have a really happy relationship 99% of the time, haha! I love it. You and your mom are so lovely together. I’m not surprised the womb thought you were both teens! 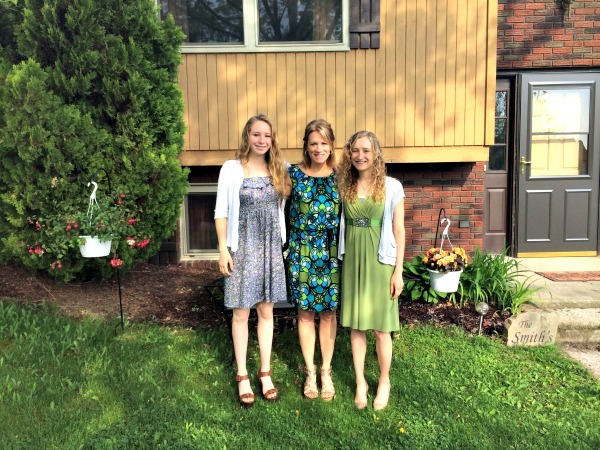 All 3 of you look just alike – so pretty and youthful! Love your present – handmade presents are a great idea! I can’t believe I’ve only found this blog now! It looks beautiful, and extremely inspiring and insightful! You should be so proud Allie!